Discussion in 'Navy & Maritime' started by Thüringer, Jan 18, 2019. The pride of the german navy, the "Gorch Fock" has so many structural damage, that its doubtful a repair is possible. When they brought her into the yard for repairs, cost were said to be 8.5 million €. Now they say it will be at least 180 million €. More and more decission makers ask now, if it would not be cheaper so look for a replacement for her. The Gorch Fock was build by Blohm & Voss in Hamburg and has 6 sisterships which are still operational. One is the US coast guard ship "Eagle". The Eagle was taken from USA after WW II but now she is seen as best option to replace the Gorch Fock for the German Navy. It would also be great to have her back. No decission is made yet but if we could get our old ship back to replace the Gorch Fock, that would at least be a positive thing. The USCG would never give up the Eagle without a fight. How so? The Eagle is a german ship that was taken away from Germany after the war. It would be a great symbol to give her back to where she came from. Or what other options do you see? The Gorch Fock has critical damage and experts say its impossible to repair her. A flagship must symbolize something. It must stand for tradition. A new build ship would be worthless. It would stand for nothing. The age of sail saw many ships changing hands during conflicts. If you want it back you will have to fight for it. Giving it back, not going to happen, with or without the “Donald”. The "Donald" would like Germany to buy american LNG. Getting the "Horst Wessel" (USA named ehr Eagle) as "Gorch Fock III" back, will propably even be possible with a discount. Germany needs a navy flagship. Thats a simple fact. And we need one connected with our maritime traditions. A new build vessel would be worthless. It would have no soul. What do sailors feel for a navy with a flagship build in 2019/2020? Whilst I don’t wish to comment on how the Eagle came to be in the US the USCG has used and maintained her regardless of expense. Gorch Fock is of similar age to Eagle so I assume they were built the same way. If the German Navy wish to keep her as their flagship surely they should spend the money to repair her? Do you have a source for this story please. To be fair there is no way that you legally could get the USCG Eagle back from the US short of a legal sale because it was taken as a war prize after the war as part of reparations. 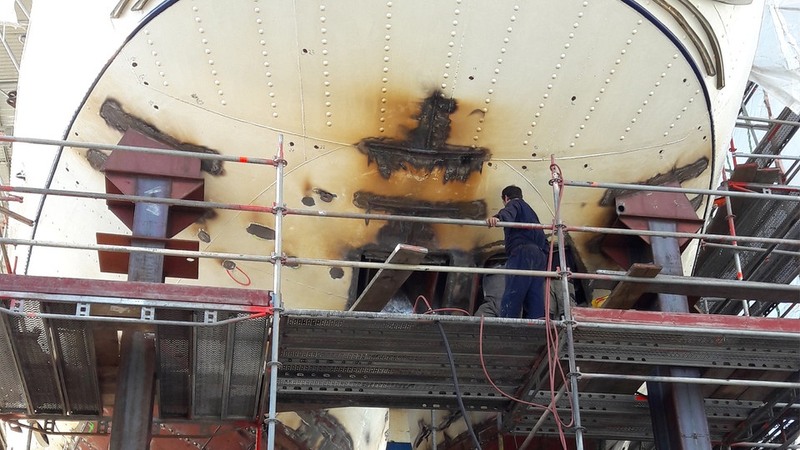 If the Gorch Fock is going to cost €180 million to repair, then the Deutsche Marine needs to determine whether or not to repair or replace the Gorch Fock. It does but whether or not there is a buyer willing to pay that prices is another story. Germany needs a navy flagship. Thats a simple fact. And we need one connected with our maritime traditions. A new build vessel would be worthless. It would have no soul. What do sailors feel for a navy with a flagship build in 2019/2020? That is rubbish and I speak as an ex naval sailor. A ship is just a pile of metal until it is christened and it's first crew boards. 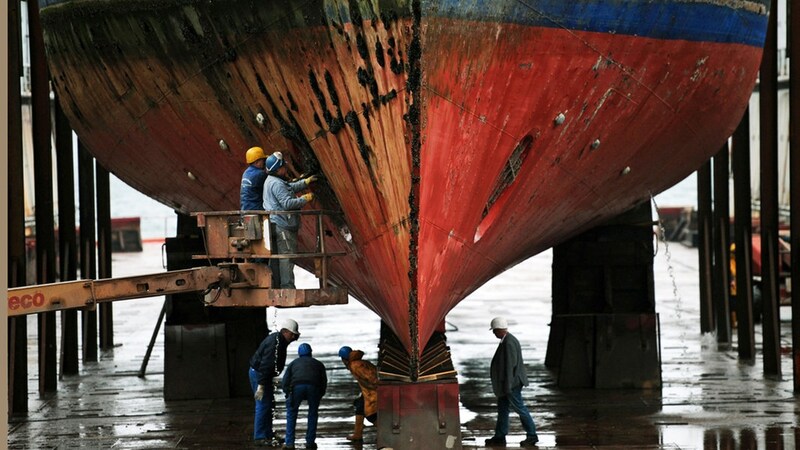 It is the crew and the ships subsequent reputation that makes or breaks a ship and it doesn't matter whether the ship is brand new or ancient. To be the flagship is a great honour and even though a crew will grumble amongst themselves about all the associated navy navy bull crap that goes with it, they wear their ships name with extra pride because they know that their ship is the best ship in the fleet and God help anyone who tries to tell them different. Replace it like for like. Repair and restore it to full operational capability. Negotiate for the return of one of its sister ships. Pay it off and not replace it. Repair it enough to use as a museum ship, keep as Flagship of the Deutsche Marine but permanently in dock similar to the RN HMS Victory. 1. Replace it like for like: appeals because you would acquire a brand new sailing ship which could be future proofed as it is built. 2. Repair and restore it to full operational capability: also appeals because you would be repairing and restoring the existing vessel plus you could use the the drydock time to undertake a fully comprehensive MLU (Mid Life Upgrade). 3. Negotiate for the return of one of its sister ships: because you would most like still have to spend significant amount of money undertaking a MLU at some stage. 4. Pay it off and not replace it: because you would be losing a capability. 5. Repair it enough to use as a museum ship, keep as Flagship of the Deutsche Marine but permanently in dock similar to the RN HMS Victory: because whilst you would retain it in it's Flagship role, you would lose it in its sail training and seamanship training capability. If the Deutsche Marine decide to go with 1 or 2 of the above options then they should provide a very good business case to the Bundestag to justify their option. I think if the pollies (politicians) see a good business case it is easier for them to support it and harder for others to object to it because it shows that the Deutsche Marine have done their homework by supplying all the facts and figures. As it looks, the Gorch Fock cant be repaired. She had a big repair in 2011 and a big mistake was done. Someone removed steel weights down in the hull and replaced them with lead. In combination with the seawater a chemical reaction started that virtually destroyed the hull of the ship. The metal has become brittle. Experts say the ship is a complete loss and "repairing" would mean to build a new hull. Right now its a big scandal here in Germany. The repair was planned to cost 9 million and take a few weeks. Now its 3 years already, cost over 120 million euro and experts say this ship will never sail again. All political parties say we need a ship like her in the Marine, so simply dropping her is no option. We need an operational tall sailship. As it is they want decide until february and traditionalists in our government push for purchasing one of her sisters. In TV they named the "Eagle" as best option. I understand your point with new build but see it different. This ship is used alot for promotion and also international renomee and competition. I give you an example, in Germany are many old steam locomotives still operational. They are hold in good shape from various groups in cooperation with our national railway carrier DB. Several times in the year are big events where such trains meet, people can book tours with them ect. The old folks use such iconic trains as something to attract young folks like me to such events and we help them ect. I actually feel proud for that old impressive machine. Now if some group turns up there with a new build train...they would be the joke of the event. Its similar and even more so with ships. If an international competition is done and all big countries come with iconic, historical ahips and we come with a new build ship without any history behind it, i would definitly not feel that positive about it. To set the record straight, there were 6 ships total. Herbert Norkus - launched but never completed, scuttled. The 6th ship was built in the 1950s and named Gorch Fock. Masks and rigged were used from the Herbert Norkus since they had not been installed. This Gorch Fock (1958) is the vessel under repair that the OP is writing about. So there are actually only three ships of the class still fit to sail. Germany now had the original Gorch Foch back, so why not try to repair that one and return it to service? The original Gorch Fock is a museum ship and not sea worthy. She is in better shape than Gorch Fock II but basicly would be same problem. Not sure what television source would have suggested the USCGC Eagle as the "best option" or for that matter, what would constitute "best" or why they would even consider the Eagle as an option. The Eagle is an active duty Coast Guard Cutter used to provide sail training to USCG Academy cadets and OCS students in addition to the periodic showing the flag port visits and tall ship cruises. As a sail training vessel, the Eagle has been kept in service specifically because she provides a training environment to future Coast Guard officers that a classroom, or even a modern vessel just cannot provide. Given the Coast Guard tradition of continuing to provide officers with sail training, even if the Eagle was no longer seaworthy or available for US service, I would expect that a replacement tall ship would be purchased or ordered. With that in mind, unless Germany were to make a very compelling offer, I cannot realistically seeing the Coast Guard parting with the cutter Eagle until she is no longer fit for service. Exactly for that reason. 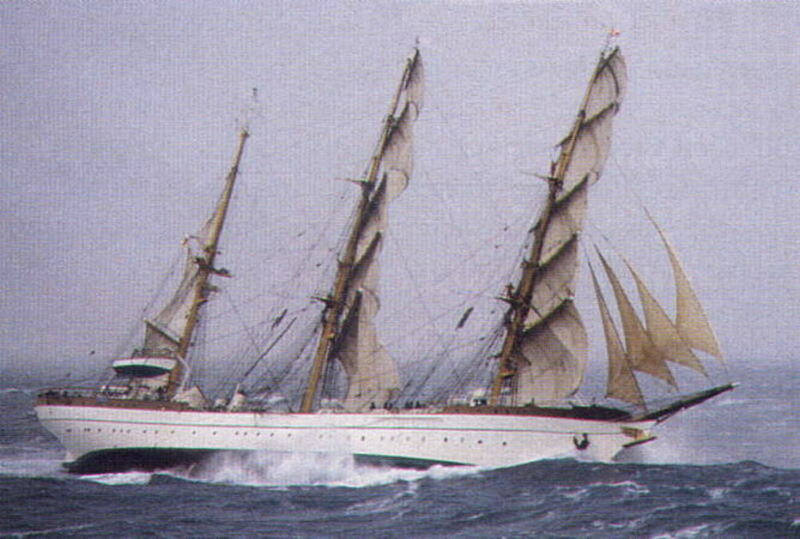 The Gorch Fock is used to train german navy cadets in sail training. 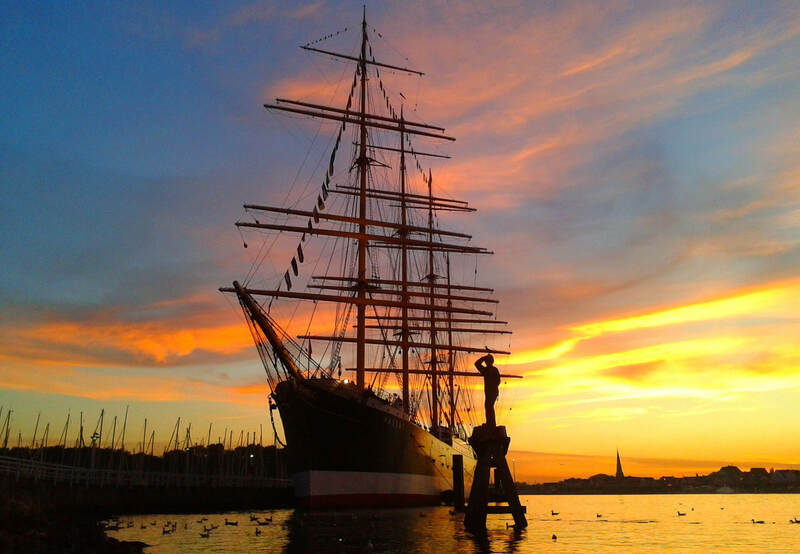 The Eagle is used for the very same purpose that the Gorch Fock is used for. Thats why she was named as the best option. Money is not the problem here. The problem is that we have no operational ship of that class right now. Our cadets have no ship to learn on and time runs away. I would disagree about money not being an issue. After all, if Germany is currently having a problem getting a replacement for their training tall ship, then the USCG would encounter the very same problem if the Eagle was no longer in service. If there is no ship available for purchase, then it does not really matter how much funding is available, since what is required is not available for sale. Germany might be better off looking at sail training ships in service with the navies of countries that have experienced economic difficulties. Argentina comes to mind, as does Venezuela. With all due respect. This is Germany we talk about. We have a certain standard. A german flagship must be a german ship. We dont have a problem to get a replacement. We could build a new one. But thats not the point here. It would be better to have a ship with a story. A ship connected with us. Build a new sailing ship and name it Gorch Fock. It carry's the name ,all the honours and histories of it's predecessors. That's how it's done in navies and how history is kept alive. It also honours the previous ships and more importantly the crews who sailed and sometimes died in them. You look at it strictly from an uniformed civilian point of view, not from the point of view of one who is familiar with military and more particularly naval history and traditions. A new build ship will be connected with Germany, especially if it is built in Germany. The point about a Flagship having a story is rubbish. That's not what a Flagship is about at all. Interestingly I see that the present Gorch Fock whilst based on the Horst Wessel , it's design was modernised and then influenced after the sinking of the Pamir. My dad sailed as a boy seaman on the Pamir when it plied NZ waters. He loved it and he cried the day he heard that it had sunk. I dont think it works like that. The discussion in Germany is mostly focused now to get one of her sisters. The "Eagle" was brought into focus by Vizeadmiral Andreas Krause. I guess Vizeadmiral Krause looks at it with a point if view of someone of the military. We currently have not that much sucess in our military to say at least... all our submarines were in the yard for repairs. Our ships malfunction. Our aircrafts are not fly worthy and we have a defense minister who is a joke and now in court for massive corruption. The rotten state of our flagship is the last image that fits in the overall picture of our defense. A new ship would have the fate of the Alexander von Humboldt II. Ignored by the people. The Alexander von Humboldt was a very popular tall ship which was put out of comission 2011 and replaced by a brandnew tall ship, the Alexander von Humboldt II. And what happened? People dont go on it anymore. It struggeles to keep its financial base running. So as it looks like now, the admirality is more interested to get one of her sisters. The only political party that says we should build a new one is the FDP. P.s. : When your father sailed on the Pamir you might be interessted in the Passat. She iss till "Alive" and stands in Lübeck. You can visit her. At some point, the reality of the situation needs to be recognized. The USCG has not announced any plans to decommission the USCGC Eagle, and there have been no public announcements about the US initiating a programme to seek a replacement. Given the time and costs involved, guv't contracting for capital intensive assets like a ship would signal such efforts, usually several years ahead of a ship being laid down for construction never mind being in commission and ready for active duty. Given that there have been no such announcements, then it does not appear that the Coast Guard has any programme underway to acquire another or a new sail training vessel to use to train would-be Coast Guard officers. With that in mind, and the fact that the USCG has deliberately maintained sail training for officers despite the transition to motorized vessels well over a century ago, there would need to be an extremely compelling reason for the USCG to give up, even temporarily, it's sail training programme. So far there has been no justification provided that I would consider to be even remotely sufficient to justify the USCG losing both an active duty vessel and training capability so that Germany can replace a damaged training vessel and retain that same capability. If Germany is determined to both keep a sail training vessel in service and have that vessel be of German origin, there are really only two options. The first would be to build a new vessel, which IMO Germany should at least look at doing to get an idea of what the current costs would be. The second would be to approach the countries and/or private owners that own German-built tall ships that are of sufficient size to serve as a new sailing training vessel for the Deutsche Marine and make offers to buy the existing German-built vessel from whoever the current owner is. Something to keep in mind though is that a number of nations have kept their own domestic sail training programmes for naval personnel and any German offer would likely have to be very generous before the approached nation would even consider selling. After all, if Country A sells their training vessel to Germany, then Country A loses the ability to engage in that type training experience until getting their own replacement vessel, which would either need to be the purchase of an already existing vessel from someone else (again) or ordering a new vessel be built which would likely take several years. Unless the selling nation was desperately short of funds to the point that Germany was in a position of strength for negotiations, an offering price from Germany would need to at least cover the replacement cost for a new sail training vessel, as well as the time lost in their own domestic sail training and the costs involved in getting a new vessel into service. At this point, absent a compelling advantage or gain to the US and USCG, sufficient to actually permit the decommissioning of an active duty US naval vessel and then the sale or transfer to a foreign navy to make it through all the approvals required, then bringing up the idea of the Eagle returning to German ownership is rather pointless. Our Admirals brought it up. They obviously dont see it as pointless. They focused on the repatriation of the "Eagle" as new flagship and sail-training vessel. The political debate about this is by the end of January and early February. The only political party that wants a new ship is the FDP and they are a small oppossition party. Money aside, it would be the cheapest option to build a new one. Even more so considering the fact that right now no other country builds more tall ships than german yards but most are against that. It would take several years of our cadets not having sailing training at all and it would have zero renomee. 15 years where our Marine has no functional sailing program. There would be extensive planning because ridicolous laws regarding ordering of new ships. Because of that it would take 15 years. As for the "Eagle", i dont think thats a price thing that much. It was a german ship and i´m sure diplomats can fix out a deal between USA and Germany that suits both countries. In 2017 the German navy made a deal to use Mircea, the Romanian sail training ship. Built 1938 based on the original Gorch Fock. So they're not completely lacking sail training. If the Romanians have the capacity, that arrangement could continue for a while.